Home / Stock Market / What Is Hedging and Arbitrage In Stock Market? 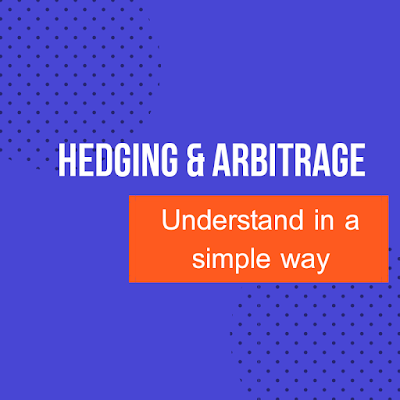 In this post we are going to discuss about hedging and arbitrage. So let's start. In a simpler term, hedging means insurance. Now if we understand what is insurance and why we take insurance, then we will clearly understand the meaning of hedging and its purpose. So what is insurance? It is an arrangement by which a company undertakes to provide a guarantee of compensation for specified loss in return for payment of a specified premium. A trader has hedged his portfolio means he has protected his portfolio by taking position in stock market. Let’s understand it by an example. How to use EPS in Stock selection? How to use P/E Ratio in Stock Selection? I have a biased interest in TATA group of companies and from all the companies of that group I preferred TATA Motors. I bought the shares of TATA Motors because I think this share is an underdog. It can perform well in future. But at the same time, as market doesn’t go as per my conviction, I have a fear that TATA Motor’s share may go down. That’s why I sold the shares of Ashok Leyland, a competitor of TATA motors, in future market. Now there will be two cases. Case-1: I was proved right. TATA Motor’s share goes up and I earned profit. But at the same time I face loss in Ashok Leyland because I have short position in that share. If I considered the net position then I will find a net profit from my trades. Case- 2 I was proved wrong. If something contrary happens against my analysis then TATA Motors will go down and I will bear a loss. But thanks to Ashok Leyland! I will earn profit from there to minimize my loss. Hence I will bear a loss which is small in compared to the gross loss I was having in TATA Motor’s share. What we learned from this example? No matter I was right or wrong, in both the cases I gained something. In first case I gained profit whereas in second case I minimized my loss. Not having loss is also a kind of gain. In stock market big players play with big money and they have responsibilities. So they can’t just play randomly. They always take hedge positions to reduce their risk. The traders who take long position make their hedge by taking short position in other shares. Traders, who initially take short positions, make their hedge by taking long position in other shares. The fund managers always prepared for the downside risk of markets by taking a calculated hedge positions. So it is a very important tool in capital market. Arbitrage is basically having profit by buying a security in one market and simultaneously selling it in other market at a higher price. This is the process of identifying and trading the temporary differences in price of the securities in different markets. For example I observed a seller is selling shoes in a shop. He is quoting ₹400 per pair. I moved to a shop which is in other area of the city. Interestingly I saw that the same shoes are quoting at ₹420. I asked the seller his buying price. He said it costs ₹410 to them because they buy those shoes from other cities. Now I get a chance to earn profit here. I ran to the first shop and buy shoes ₹400 and immediately sold those shoes to the second seller ₹410. My travelling cost was ₹20. I have sold 20 pairs of shoes. Now can you tell me the profit I earned? This is kind of arbitrage practice. In India there are two major stock exchanges. Now I noticed that Berger Paint’s share is trading at ₹225 in BSE while trading at ₹223 in NSE. I will immediately Sell shares in BSE and buy the same shares in NSE. I will gain ₹2 per share without any analysis. But the important point to notice is there are less likely situation where we will get chance to make arbitrage profit. There are many FIIs who only do arbitrage because they have advanced software, automated machines who take trade automatically. You have to be very fast in this game. You have to be absolutely attentive. 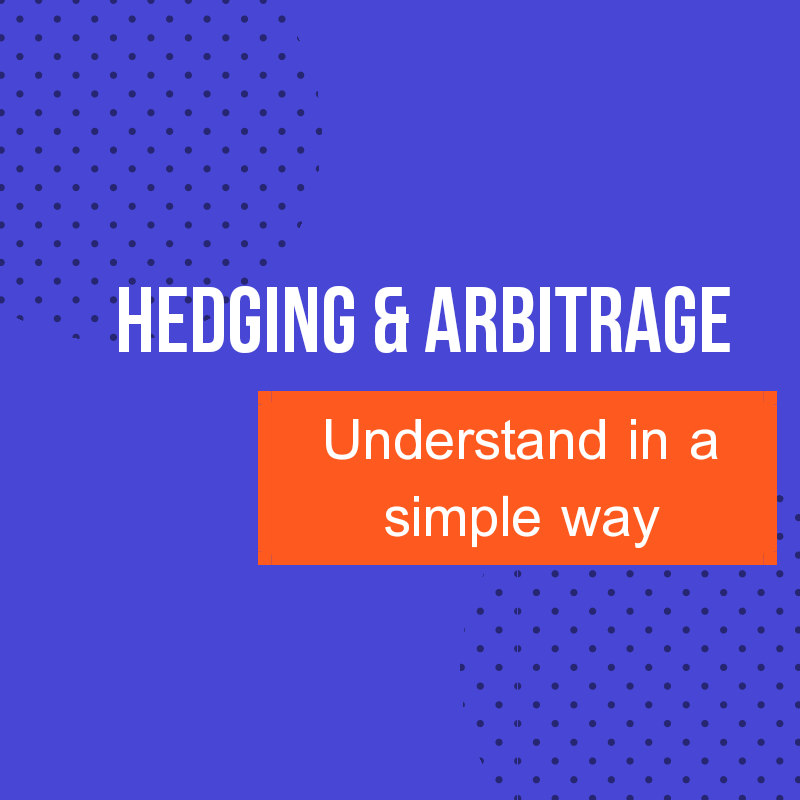 I hope this post helps you to understand what is hedging and what arbitrage is. If you have any questions then you can ask in comment box. Constructive suggestions are always welcome.